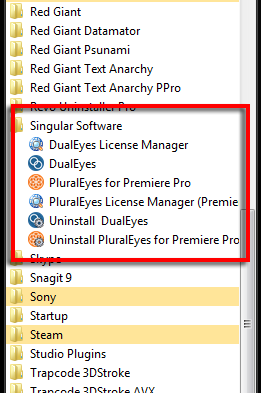 PluralEyes 2/DualEyes: How to find your Singular Software license. Open your PluralEyes or DualEyes License Manger. On Mac OS X navigate to: MacHDApplications and open the License Manager app. On Windows navigate to: Start menu > All Programs > Singular Software and open the License Manager program. 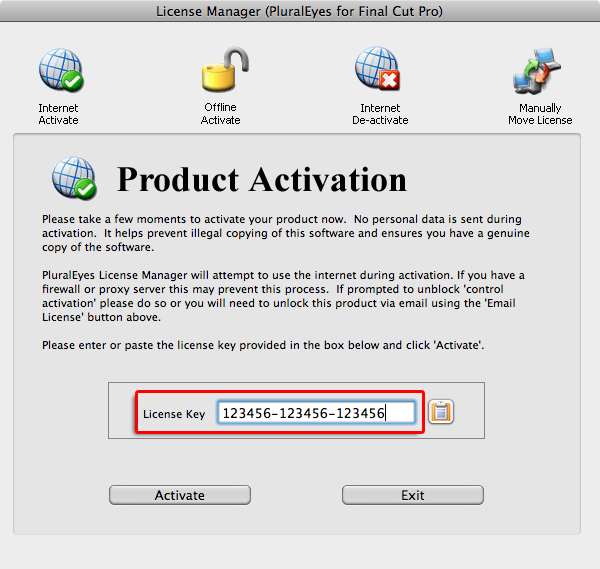 With the License Manager open your license key will be located in the 'License Key' field as picture below. If your License Key field is empty, then you may have only had a trial installed on your system. If you ordered from Singularsoftware.com your license information was sent to the email you provided at purchase. Search your email for a message that came from 'customer@avangate.com'. If that search is unsuccessful, try searching the word 'PluralEyes' or 'DualEyes'. Option 3: Open a Support Ticket and our Support Team will assist you. Open a Support Ticket (If you aren't logged in with your Red Giant ID, you will be asked to log in or create a Red Giant ID). So we can quickly locate your order, please provide us with the following information: (1) First and last name of person that placed order, (2) email address used at purchase, and (3) your Singular Software order number. Our typical response time is less than 24 hours Monday through Friday. 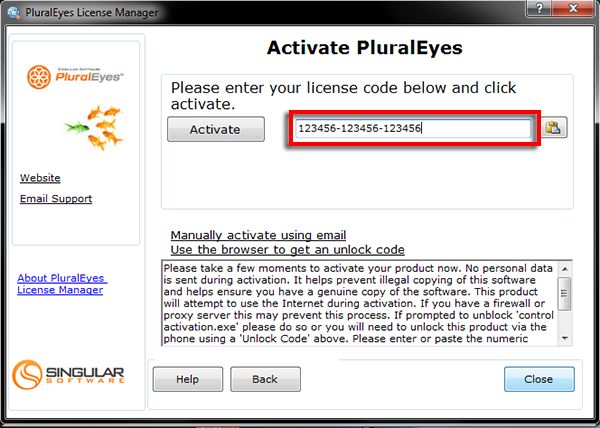 If you need to use PluralEyes or DualEyes right away, please download and install product as a fully functional 30 day trial and this will allow you to be able to use it until we locate your Singular Software license key.